Since the weather started hotting up, if you’re an avid reader of this here blog (which of course you are!) you won’t forget the importance of staying hydrated and drinking lots of water whilst exercising and also whilst not! …but I think sometimes we forget what a big part water plays in our lives…for example we don’t just drink it, we cook with it too! 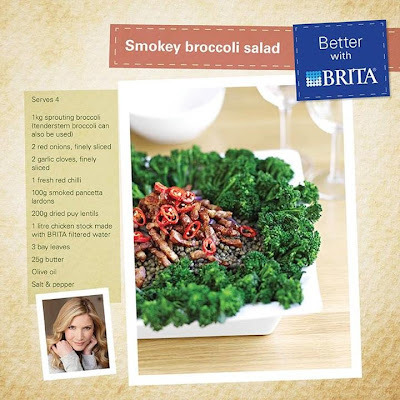 So it makes sense that BRITA have joined forces with TV chef Lisa Faulkner to launch the Better with BRITA campaign to draw attention to how much we use water as an ingredient and how using BRITA filtered water results in better tasting food! 1. Soak lentils overnight in BRITA filtered water, drain, put in a pan and cover with the chicken stock and bay leaves. Bring to the boil and simmer for 45 minutes or until tender. 2. Take off the heat and leave the lentils in the stock. Meanwhile cook the broccoli in boiling BRITA water for 5 minutes and drain. 3. Melt the butter in a frying pan, add the pancetta and cook for 8-10 minutes, stirring continuously to get an even colour. Once golden, add the onion, garlic and chilli and stir for a further 2 minutes. 4. 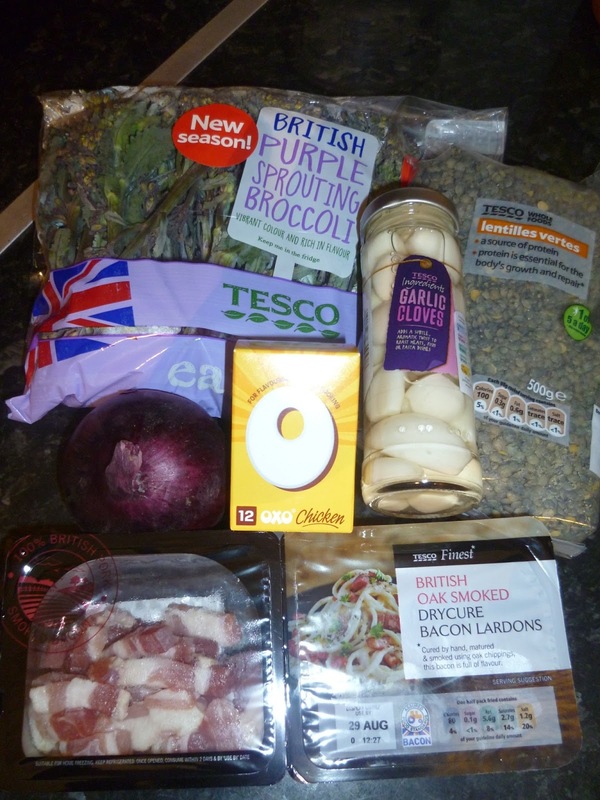 Drain the lentils and add to a large mixing bowl with the broccoli and pancetta mix. Stir in the olive oil, season to taste and then serve as a lovely alternative side dish. I used this recipe as a side to my main of a home made roasted chicken pie; it tasted great!…the perfect accompaniment. I am definitely going to continue to cook with the BRITA filtered water from now on! You can pick up your own Marella Jug from leading retailers with prices starting at £21. Do you use bottled, filtered or tap water?! Leave me your thoughts and comments below 😉 …then stay tuned for some more great recipes from BRITA! Lisa Faulkner is launching the ‘Better with BRITA’ campaign highlighting how she uses BRITA filtered water as an ingredient in cooking for the best tasting food and drink. For details of BRITA products go to www.brita.co.uk.